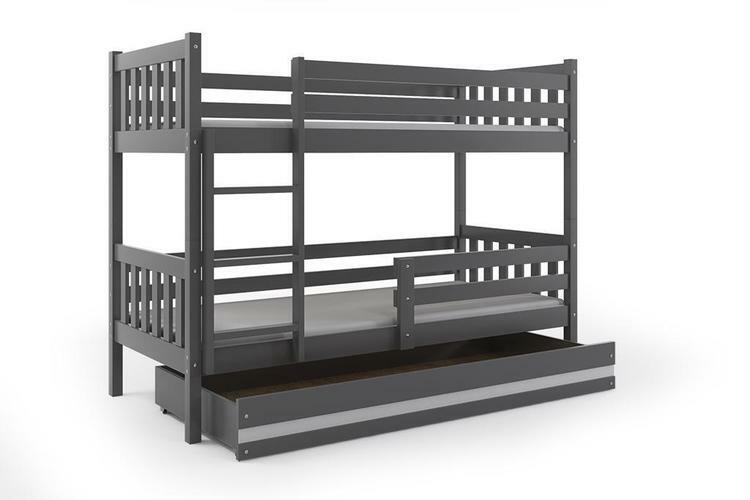 Bunk Bed can be split into two single beds. 2 x Foam Mattresses included in the price. Removable mattress cover with zip can be washed in 40°C. Extremely durable frame with Flexi Slats. System FLEX perfectly supports every move of the sleeper's body. Designed for children up to 60kg. Adjustable ladder can be positioned on either side of the bed. Safety rails to prevent children from falling out. Storage Drawer under the bed. 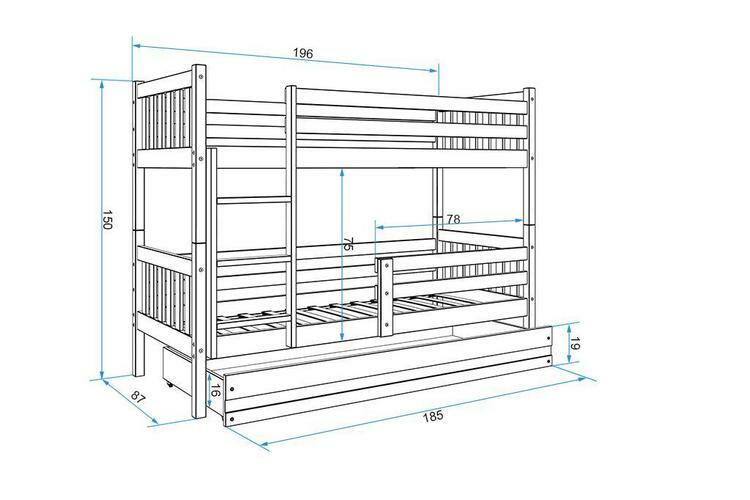 Beds are made of solid pine wood that are extremely durable. Three layers of Child-friendly varnish making the colour vivid and natural. Furniture is delivered flat packed for self-assembly. Beds are covered with 24 MONTHS WARRANTY.